Manufacturer & Supplier of Stainless Steel 316 Pipe Flanges, SS 316 Slip on Flanges, Steel UNS S31600 Lap Joint Flanges, Stainless 316 Blind Flanges Exporter in India. 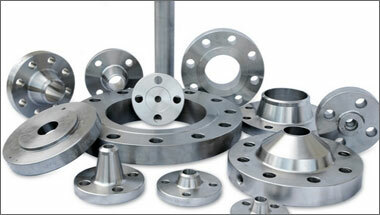 We, Neon Alloys are engaged in manufacturing & exporting a huge gamut of Stainless Steel 316 Flanges. The SS 316 flanges that we produce to our clients are available in different grades and qualities at affordable costs within the specified time-frame. With assistance from highly qualified and experienced professionals who meticulously design the SS 316 Flanges range as per industry laid parameters keeping in mind the multifarious requirements of the clients. We Offered SS 316 flanges are appreciated widely by the customers for their reliable performance, durability and excellent resistance against corrosion and abrasion. There are different types of Stainless Steel 316 Flanges, namely: Screwed Flanges, Long Weld Neck Flanges, Reducing Flanges, Spectacle Blind Flanges, Ring Joint Flanges, Threaded Flanges, WNRF Flanges, SORF Flanges, Weld Neck Flanges, Socket Weld Flanges, Slip On Raise Face Flanges, Blind Raise Face Flanges, Lap Joint Flanges, Orifice Flanges, SWRF Flanges, BLRF Flanges, and others. Stainless Steel 316 Flanges Manufacturer, SS 316 Plate Flanges, Steel WNR 1.4401 DIN/ASME Pipe Flanges, SS UNS S31600 Socket weld Flanges Suppliers in India. Morocco, South Africa, UK, Africa, Iran, Algeria, Russia, Colombia, Cameroon, Iraq, Venezuela, Ethiopa, Azerbaijan, Italy, Democratic Republic of the Congo, London, UAE, Mozambique, Malaysia, Australia, Chine, Kuwait, Tunisia, Bahrain, Peru, Saudi Arabia, Indonesia, Angola, Jordan, Brazil, Thailand (Bangkok), Houston, Egypt, Canada, Argentina, Nigeria, Ghana, Kazakhstan, Sri Lanka, Sudan, United States, Vietnam, Trinidad and Tobago, Dubai, Uganda, Turkey, New Zealand, Mexico, Germany, Israel. Cairo, Mogadishu, Alexandria, Tripoli, Khartoum, Omdurman, Muscat, Kampala, Rabat, Abu Dhabi, Antananarivo, Cairo, Freetown, Abidjan, Soweto, Amman, Maputo, Zaria, Harare, Subra al-Haymah, Pretoria, Maiduguri, Durban, Tel Aviv, Benin, Hong Kong, Brazzaville, Jeddah, Sharm el-Sheikh, Conakry, Istanbul, Jerusalem, Port Elizabeth, Luanda, Douala, Bamako, Dammam, Beirut, Casablanca, Lagos, Cape Town, Algiers, New York, Manama, Accra, Kano, Fez, Dubai, Riyadh, Mbuji-Mayi, Bethlehem, Bulawayo, Kolwezi, Colombo, Port Harcourt, Nairobi, Lubumbashi, Aqaba, Kinshasa, Dakar, Tehran, Kaduna, Data from the UN, Johannesburg, Yaoundé, Lusaka, Mecca, Doha, Ibadan, Ouagadougou, Singapore, Addis Ababa, Byblos, Giza, Dar es Salaam.